The Saudi-Arab Coalition to support Legitimacy in Yemen, claimed on Monday that it had shot down 11 Houthi drones over town of Sayoun in Hadhramout province in eastern Yemen. 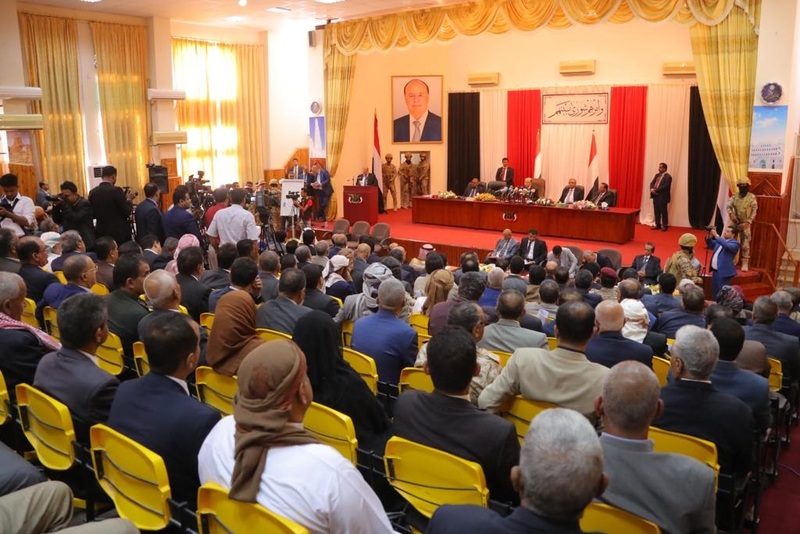 Since Saturday, the city of Seyoun has been hosting the sessions of the Yemeni parliament for the first time under the auspices of the "legitimate" government since the beginning of the war in March 2015. During a meeting held on Monday, it will held its meetings permanently in the city of Seyoun east of the country. Coalition spokesman Col. Turki Al-Maliki told a press conference that the Houthis group hiding drones near populated neighborhoods in Sanaa. He said: "Saada and Amran governorates were still being used by the militia as storage areas for ballistic missiles." The Houthis group (Ansar Allah) has already denied the accusations of the Yemen's internationally recognized government and the coalition for launching drone last Thursday on Seyoun. Saudi Arabia has been leading a military coalition in Yemen since 26 March 2015, in support of forces loyal to President Hadi to retake areas controlled by Houthi (Ansar Allah) group seen as proxy for Iran in the Arabian Peninsula country. The conflict has lefttens of thousands killed, hundreds of thousands injured, and 3 million displaced. Yemen war has pushed the country to the world's worst humanitarian crisis, according to the UN, with most of the population in need for a type of humanitarian aid and immediate protection, including 14 million people risking famine and some 1.8 million children suffering malnutrition.